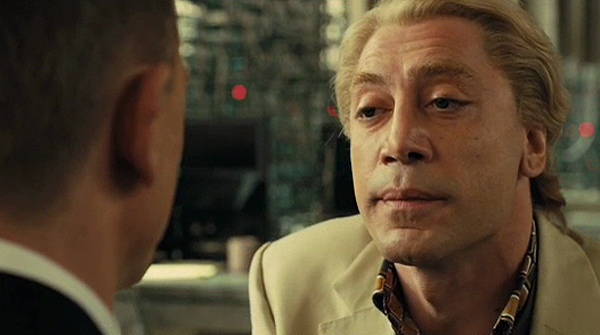 Javier Barden stars as Raoul Silva, and brings the sinister-yet-comedic element to the story. This over-the-top baddie is as playful as he is psychotic, but of course, underneath it all, he feels that he’s simply “misunderstood”. @CitizenBomber Possibly the PR sleaze balls that were running POAL campaign – seeking others run their lines. Not honest. Turning page views into dollars is not easy, even for Whale Oil. But $251? Ouch. $251 per month is somewhat disheartening, huh? And that’s NZ’s “most-visted blog”. Now, echoing Raoul Silva, Cameron says those of us (Russell Brown, Fran O’Sullivan, Martyn Bradbury, others) who drew that ‘confession’ interpretation from his answer to Russell’s question on Media 3 … we have misunderstood him. Riiiiight. No, he hasn’t been paid, he now says. He just “absolutely” demanded money from PR companies in return for running certain lines on his blog. But because they didn’t actually pay him, he says (at least that’s what I think he says) he’s in the clear? Um. What do you think? ‘equating demanding with receiving …very silly’ – Indeed. By Cameron’s fevered reasoning, he clearly feels there’s nothing wrong with him pumping undeclared paid ‘advertorial’ and PR propaganda through his partisan sphincter to his blog’s witless, er, half-wit, no, unwitting audience. So long as Cameron agrees with the propaganda message, that’s Cameron’s integrity in action. For someone who uses the phrase ‘In the interests of transparency’ (apparently without irony) it seems to me Cameron Slater has demonstrated once again he sometimes acts in a shabby manner. PS I did not use the word ‘batshit’ in this post. I can see why you might suppose otherwise, but Martyn Bradbury and I aren’t pals. We’ve met once (briefly) when I was covering a MANA Party policy launch for radio news during last year’s election campaign. We’ve never met for a drink. I think the excitable Martyn still hates my guts has issues with me because I stood up against him (on Twitter and online) for Cactus Kate’s right to participate in the democratic process, and I blogged that Cameron was the best thing about his now-cancelled(?) Access TV show. I don’t think THIS post helped, either: Bradbury: Martyr or moderated troll? 1) The V4C banner campaign you speak of had no editorial component to it. Anything that was written by any blogger was not part of our campaign brief. 2) In regards to Russell’s question “Have you ever demanded money from PR companies to run certain lines?” my answer would also be Absolutely. The facts are that PR companies, as Cam pointed out, try to leverage audiences for free. I cannot recall one instance where we have demanded payment for running PR spin where a PR company has been happy to part with cash. It’s just not how it works. They get paid to get publicity. They just don’t pay for it. Hi Regan, thanks for your comments. I asked Cameron at the time what the financial arrangements were because his zealous advocacy of the anti-MMP campaign seemed over the top, as noted above. I was in contact with a number of observers, one of whom pointed out a striking correspondence of VFC ‘talking points’ … which seemed to appear on Cameron’s blog in concert with David Farrar’s. From memory: “List MPs vote against the wishes of their party”, “Can’t get rid of Mallard because he’s #9”, “Blame MMP for ACT’s criminal justice machinations”, vacuous hate speech directed at Andrew Williams etc. A simpler explanation, one which I tend to favour now, is that unoriginal Cameron just copies stuff from wherever he can, and the VFC propaganda fluffed up his blog. It’s easy to get all nanoo-nanoo and VRWC-theory about things. But there was I thought pretty well informed gossip — but gossip none the less — that Cameron was paid for more than just the ads by VFC. That’s why I asked him. I have carried ads for Vote for Change, because they booked them. That is the the only money I have received from them. Like I said above: A hobby. Sorry Peter calling someone out for being unoriginal but all you do here is copy stuff. You use words like “I read this article and I agree” Most of which is opinion begin pieces to begin with. Completely fair cop. Shameful of me as a fellow parasite to even mention it. There’s no question that the content of news sites is expensive to produce (consider the cost of the various correspondents, for instance) and it is harvested mercilessly in a parasitic way by websites all over the world (including this one, ahem). I was wondering about that comment. Is Cameron saying that he has demanded money, but never actually received any? If so, that’s actually kind of pathetic. Or is his point that in using the term ‘receive’ rather than ‘demand’ people are technically getting the quote wrong? If so, that’s just sophistry. Maybe I’m missing something. Hi Steve, I think your first suggested interpretation is correct, but in my observation Cameron Slater has a propensity to try to use weasel words and pedantic, evasive language to cover his dishonesty. He’s not alone in that, obviously. ”Naive and evasive” is how a Judge described Cameron’s replies to questions about his actions (see: http://www.thepaepae.com/thin-skinned-media-critic-cameron-slater-spits-dummy/20312/) That’s certainly been the impression Cameron has made on me at times too. I’ve challenged him about it, privately and publicly, at times —which he does not like. Personally (and this is just a theory) I don’t think Cameron could deny the ‘demanding money’ question, having previously written about it. Perhaps he didn’t think through the implications of admitting to running undeclared PR company ‘lines’ on his blog … it’s a shocking admission to a journalist, no matter how Cameron tries to spin it (audio clip, above). Cameron’s justification that such undeclared propagandising is somehow acceptable/honourable because he agrees with the ‘opinions’ is plainly ludicrous and idiotic. Yeah I thought the first option was the right one, but I was honestly surprised enough to wonder. I’m also surprised more people didn’t pick up on it on Twitter. I mean, obviously his admission that he has “demanded” payment is noteworthy. But if it also transpires that these demands by the unashamed capitalist Whale oil, notorious blogger and fearless bane of the woolly liberals, have been ignored, then surely that’s noteworthy too. And, as i said, kind of pathetic. If Cameron is anything, he is audacious. It’s one of the qualities I like in him. He’s misguided with respect to this issue. And by the way, have you ever seen intelligent people interrogated in court. The first thing they do is apply Nativity and are evasive just like your mate. Sir Douglas Graham. And using a statement by a judge does not seal the deal, which you constantly do here. I am sure the likes Sir Douglas Graham and Allan Hubbard for example are decent people. But you consistently use the Logical Fallacy of Cause and affect in times that suit you! Quite frankly its disgusting and embarrassing. Don’t feel bad Craig. It’s OK. I completely disagree with your interpretation of what you think I do. Also, in my view, that court mention was completely relevant and justified given Cameron’s reversion to his MO in this instance — reaching for the greasy ‘I’ve been misquoted!’, ‘I never said that!’ and mealy-mouthed evasiveness. Take a step back and listen to the audio clip which was all about justifying why he, as a blogger running PR company ‘lines’ (without disclosure) *should* be PAID … then in post-coital regret, out came his spin that the ‘conversation’ with Russel Brown was about ‘demanding payment’? Its not what I think you do. 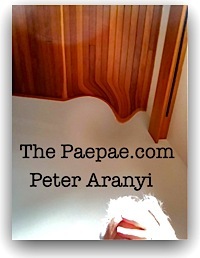 Its what YOU DO – at least here on your blog unless you have a secret logon section that I don’t access. You cannot think one thing write another and be misinterpreted ALL THE TIME. I will listen to audio clip in the next day or so. I don’t regularly read this blog, but based on this blog post and the one Peter linked to re the judge’s comments, I really can’t see what you’re on about, Craig. What was “disgusting and embarrassing”? The point about evasiveness and related reference back to the judge’s comments was clearly relevant to Slater’s own comments around the ‘demands’ for PR money. I realise its christmas … but please dont drag the Nativity into this discussion! Poor old Jesus … just by being born he gets dragged into discussions no matter what. Hmm….a few blogs in NZ mention it, and that becomes ‘the whole internet erupts in a raging inferno’..
You should scribble something for Mills and Boon, there’s obviously a niche just waiting to be filled. Most of us are supremely uninterested in what philanderers and legends in their own lunchboxes do with their lives. I’m sure it must have been welcome news to Juana and Cameron’s family & friends, and fair enough. Read his post for the fine print on how it works.